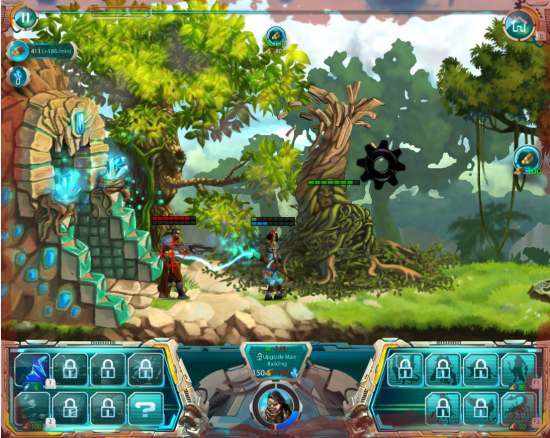 Steam Defense is a free action game for PC. Each level requires you to destroy the enemy and their castle. The enemies include fantasy creatures, like: shooting aliens, poisonous scorpions, and vicious rhinos, that will continuously try to harm you. You will have to kill all of them, while surviving in the game. To help you kill your enemies, you can add soldiers to the game. There are two modes of the game, and the match play varies with mode. The download size of the game is 45 MB. 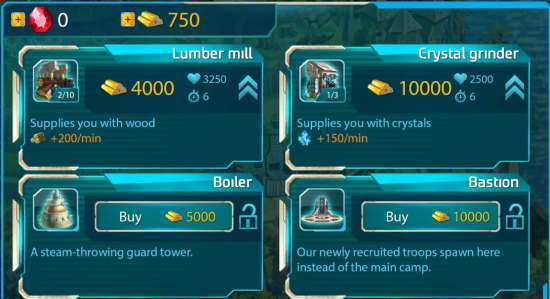 The game also requires you to plant lumber mills, crystal grinders etc.. to make wood logs, that can be exchanged for some items. You can also collect lots of power ups in the game. The game has a long but intriguing story that grabs your attention. The game control is pretty easy, but the levels are challenging enough to keep you glued to the screen. Pretty awesome, visuals add to the USP of the game. You play as the brave leader of the colonist, who can think strategically, with quick decision making. You lead your army to win over a “difficult to defeat” army. Steam Defense also has an Android version. The game starts with a small story, the story somewhat seemed to have been inspired from the Hollywood blockbuster movie Avatar. 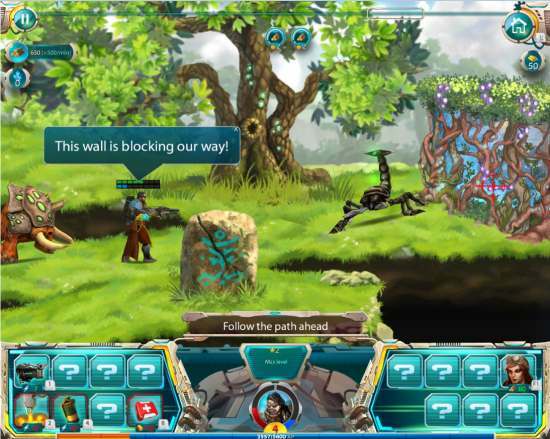 The game takes you to a vivid and lush green planet named Gloria-6. The inhabitants from Earth , whose biosphere has been destroyed, have reached there to take a refuge. 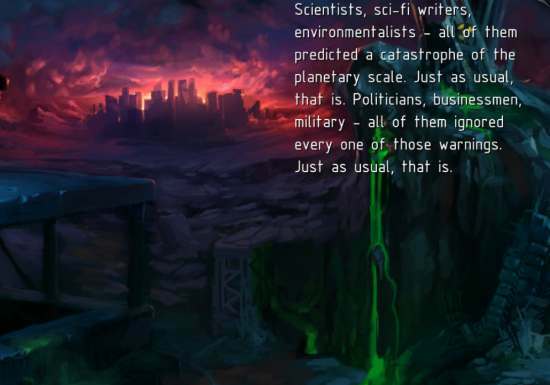 The intelligent inhabitants of Gloria-6, however, do not welcome them at all. They decide to battle you, and throw you off their planet. You, are game-playing as their leader, who happens to be a visionary and a good soldier. You need to lay down lumber mills, crystal grinders, and other machines that help you to get the raw materials to make shed for yourself. 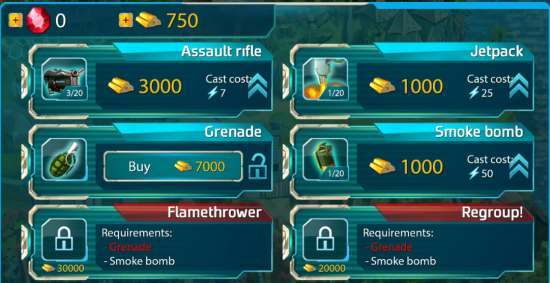 Those wood logs and gems that have been made out of those machines can be traded to buy certain items that makes your combat even more deadly. Not only making wood logs, but you also have to destroy the enemy that comes in to kill you. The enemies also have their pets, that attack you as well. The pets include creatures, like: Scorpions, Rhinos, etc. You need to destroy them and their castle in order to complete the level. Doing all of this alone by yourself is not possible, therefore you can build your army by adding soldiers at every level. Though you do not control any soldier over here, but they just shoot when you do. You cannot kill the enemies by a single blow. Shoot them continuously, unless the Red bar over them goes off. Same is with you, you get killed after your life bar goes empty. There are two different modes of the game: Singleplayer and Skirmish. Singleplayer: You are up against the aliens. Killing them and bringing down the castle is your aim. Keep hunting down the enemies and get level up. The game ends if you die. Skirmish: You can role play as both the creatures: Human and Aliens. You can choose your virtual avatar and your enemy before the game starts. The objective of the mode is to survive, however if you are dead, then you get re-spawned in 15 seconds. Therefore, all that the game requires you to do is to kill your enemy and take down their castle while surviving. That’s how you move on to the next level and gain more bonus points. Some other action games that you would like are: Shark Attack game, and my all time favorite game Contra. The game control of this game is very easy. You move around forward and backward with the Right, and left arrow respectively. To shoot, you will have to right-click. However, you can also move around with A and D keys of your keyboard. A let’s you to move forward, and D let’s you move backward. The place where planting of lumber mills/crystal grinders seems favorable, is shown by small note and logos of the lumber mills/crystal grinders. Just tap over the logo to plant the machines. 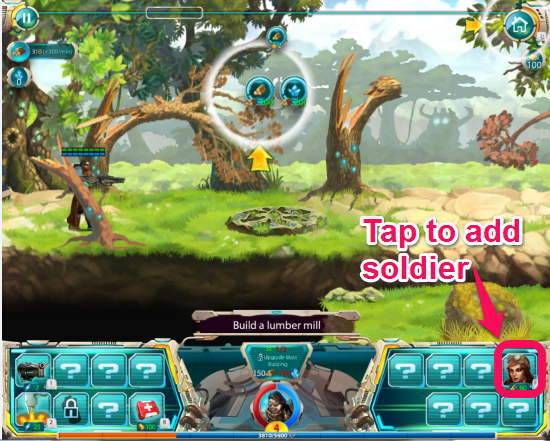 Try to add more soldiers by tapping on the logo there (see the screenshot below). Staying around them will help you to defend yourself as the soldiers take in the blows for you. That’s pretty much all to the game. Besides that, you will find the background score of the game quite amusing. The levels are quite challenging themselves, so you do not loose your interest that easily. Steam Defense action game is a pretty challenging game. The awesome visuals, and good background score keeps your eyes and ears indulged. The download size of just about 45 MB adds to the USP of the game. Therefore, I rate the game as pretty good and even recommend you to get your hands on it. Get free Steam defense here.